New paper from Markonis and Koutsoyiannis shows orbital forcings signal in proxy and instrumental records | Watts Up With That? We overview studies of the natural variability of past climate, as seen from available proxy information, and its attribution to deterministic or stochastic controls. Furthermore, we characterize this variability over the widest possible range of scales that the available information allows, and we try to connect the deterministic Milankovitch cycles with the Hurst–Kolmogorov (HK) stochastic dynamics. To this aim, we analyse two instrumental series of global temperature and eight proxy series with varying lengths from 2 thousand to 500 million years. In our analysis, we use a simple tool, the climacogram, which is the logarithmic plot of standard deviation versus time scale, and its slope can be used to identify the presence of HK dynamics. By superimposing the climacograms of the different series, we obtain an impressive overview of the variability for time scales spanning almost nine orders of magnitude—from 1 month to 50 million years. An overall climacogram slope of -0.08 supports the presence of HK dynamics with Hurst coefficient of at least 0.92. The orbital forcing (Milankovitch cycles) is also evident in the combined climacogram at time scales between 10 and 100 thousand years. While orbital forcing favours predictability at the scales it acts, the overview of climate variability at all scales suggests a big picture of irregular change and uncertainty of Earth’s climate. If you thought before science was certain—well, that is just an error on your part. -Richard Feynman, The Character of Physical Law (1994 p. 71). In the first half of nineteenth century, geologic evidence indicated that at least one glacial period existed in Earth’s geological history (Agassiz 1840; from Imbrie 1982). Some decades later, it became clear that during the Pleistocene (2,588,000–12,000 years before present time—BP), there were many glacial periods, known also as ice ages, followed by shorter interglacials, such as the one we experience since the onset of human civilization. Ice age lengths ranged from 35–45 thousand years in early Pleistocene to 90–120 thousand years in the last million years. During glacial periods, continental glaciers enlarged in length and volume, reaching the 40th parallel in some regions of the Northern Hemisphere, while similar phenomena have been identified in the Southern Hemisphere, too. Milankovitch (1941) provided an explanation for the ice ages based on Earth’s orbit variations, which was confirmed after some years by the first temperature reconstructions. It is now well known that a succession of glaciation and deglaciation periods has not occurred all the time, but only in large periods defining an ‘icehouse climate’, such as the current (Pliocene-Quaternary) icehouse period that started about 2.5 million years ago, as well as the Ordovician and the Carboniferous icehouse periods, each of which lasted 50–100 million years (Crowell and Frakes 1970). In contrast, the ‘hothouse climates’ are characterized by warmer temperatures, abundance of carbon dioxide (concentrations up to 20–25 times higher than current) and complete disappearance of polar icecaps and continental glaciers. Recently, cosmic ray flux was proposed as the controlling factor of the transition between these states (Shaviv and Veizer 2003). As underlined by Kirkby (2007), this theory was both disputed (Rahmstorf et al. 2004; Royer et al. 2004) and supported (Wallmann 2004; Gies and Helsel 2005). Additional findings showed that the climate of the Holocene (the last 12,000 years), earlier regarded static, was characterized by many climatic events, such as ‘Little Ice Age’, ‘Medieval Warm Period’, ‘Holocene Optimum’, ‘8,200 Holocene Event’ and ‘Bond Events’, deviating from ‘normal’ conditions for hundreds or thousands of years (Bond et al. 2001). For example, during the ‘Little Ice Age’ (1,450–1,850), the temperature of the Northern Hemisphere was about 0.6 oC below 1961–1990 average (Moberg et al. 2005; Pollack and Smerdon 2004), while the ‘Medieval Warm Period’ (950–1,250) was a period of warm climate in Europe and North America and has been related to other climatic events at various regions around the world (Grove and Switsur 1994), including China (Long et al. 2011), New Zealand (Cook et al. 2002) or even Antarctica (Hass et al. 2008). The preceding ‘Younger Dryas’ episode is an even more impressive case of abrupt climate change that has occurred in the relatively recent climatic history. At the end of Pleistocene, when the last ice age ended and the retreat of the glaciers had begun, a rapid fall of temperature led the climatic system back to glacial conditions. The ‘Younger Dryas’ episode lasted for approximately 1,300 years (starting at *12,800 BP), covered spatially both Hemispheres and ended even more suddenly than it emerged when temperatures increased regionally up to 15 oC in few decades (Alley et al. 1993). Although the cause for this short return to an ice age period is still under debate, it has become clear that it is not associated with a single catastrophic event (such as the release of freshwater from the lake Agassiz in Gulf of Mexico or the impact of a comet) but is rather regarded as an integral part of natural variability (Broecker et al. 2010; Mangerud et al. 2010). All these relatively recent events cannot be attributed to the Milankovitch cycles, whose periods are much longer (see below). Thus, it is very difficult to attribute the climate variability at multiple time scales (from decades to many millions of years) to specific quantifiable causal mechanisms that would be applicable ubiquitously. A more modest goal, which is the purpose of this study, would be to characterize this variability over the widest possible range of scales that the available evidence allows. Such characterization unavoidably uses stochastic descriptions and tools, but without neglecting the influence of identifiable deterministic forcings, such as the variations in Earth’s orbit. Such stochastic descriptions are related to the natural behaviour discovered by the hydrologist H. E. Hurst at the same period of Milankovitch’s discovery. Hurst (1951), motivated by the design of High Aswan Dam in Nile and after studying numerous geo- physical records, observed that ‘although in random events groups of high or low values do occur, their tendency to occur in natural events is greater. This is the main difference between natural and random events’. In other words, in a natural process (e.g., river flow) events of similar type are more likely to occur in groups (e.g., a series of consecutive low flow years) compared to a purely random process (white noise) where grouping of similar states is less frequent. Unknowingly to Hurst, A. Kolmogorov had already proposed a stochastic process that described this behaviour a decade earlier (Kolmogorov 1940), although both the process and the natural behaviour became widely known after the works of Mandelbrot and Wallis (1968), Klemes (1974) and Leland et al. (1994, 1995). Over the years, this mathematical process (or variants thereof) has been given many names, such as fractional Gaussian noise (FGN), brown noise, fractional ARIMA process (FARIMA) or self-similar process, while the natural behaviour has been called the Hurst phenomenon, long-range dependence (or memory), long-term persistence or scaling behaviour (Koutsoyiannis and Cohn 2008). Here, when referring to the relevant natural behaviour, the stochastic process (definition of which will be given in Sect. 5.1) or the related stochastic dynamics, we prefix them with the term Hurst–Kolmogorov (HK) in order to acknowledge the contribution of the two pioneering researchers. The HK behaviour, detected in numerous time series, as detailed in Sect. 3 below, indicates fluctuations at different time scales, which may reflect the long-term variability of several factors such as solar irradiance, volcanic activity and so forth (Koutsoyiannis and Montanari 2007). 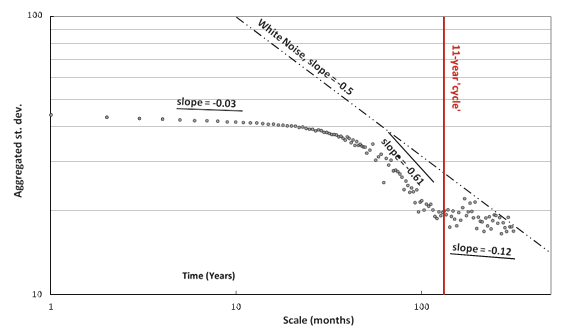 The multi-scale fluctuations cannot be described adequately by classical statistics, as the latter assumes independence (or weak dependence) and underestimates the system’s uncertainty on long time scales, sometimes by two, or even more, orders of magnitude (Koutsoyiannis and Montanari 2007). This underestimation, which some regard counterintuitive, will be further demonstrated below in Sect. 6. Moreover, traditional stochastic autoregressive (AR) models cannot describe these fluctuations in an adequate way, because the autocorrelation functions of these models decay faster than those of the processes they try to model (Beran 1994). The study of natural variability of past climate can now be based on a lot of available proxy records, some of which are discussed in Sect. 4 and analysed in subsequent sections of this study. These proxies are free of anthropogenic influences that could allegedly contribute to the observed changes. It is our aim to demonstrate some evidence of the presence of HK dynamics at different time scales (spanning nine orders of magnitude). We also examine the coexistence of deterministic controls (due to orbital forcing) and stochastic dynamics and try to identify possible connections between this stochastic dynamics and the modern, obliquity-dominated, orbital theory. Very grateful to Anotony and everyone who helps keep this fantastic website going. I think it would be very useful to a lot of people if there was a page set aside on WUWT where these research papers could be referenced so that people can get an idea of the latest developements. Is this possible/a good idea?? A refreshing step back to look at the big picture, but all it really says is that paleoclimate was not random, which few of us believed anyway. The obligatory H/T to Milankovitch at the absurd scale window from ten years to a hundred thousand years even though the shortest Milankovitch cycle is about 20,000 years and the most stable is 400,000 years…. FREEDOM! We need this sort of info. Don’t get me wrong, I’m grateful for the summary. But the conversation DOESN’T JUST INVOLVE HOITY TOIT SCIENTISTS, as it is being used to MANIPULATE US ALL. Glad to see this has finally been published, after a teaser some time ago in a presentation by the authors. I imagine many hurdles would have been put in the way of publication. The story of this article: climate change, at whatever scale you view it, will be dominated by the lowest frequencies of variation, all the way down to trends in data sets. These variations are instrinsically unpredictable. This does not preclude deterministic behaviour, which can still be detected (such as the influence of orbital cycles). The tendency of any climate data set to be dominated by low frequency components (with respect to the data set) will cause many people to “see” relationships that have simply occurred by chance alone – and perhaps even demonstrate significance against inappropriate autoregressive models. Belief in such relationships without applying the more rigorous test against HK-dynamics is a well-trodden path to self-delusion. With thanks to Yannis and Demetris for their perserverance. Translated, I think this is trying to tell us that themany tens of billions of dollars we spend each year on ‘researching’ and trying to combat ‘climate change’ is a complete waste of money. Well, we knew that already – the problem is making the goofier greenies and gullible politicians understand as well. Anything that man can do in regards to climate is almost insignificant in comparison to regular natural cycles and the irregular, often inexplicable, major events such as the Younger Dryas. This paper is not the sort of thing which helps keep the Global Warming Industry’s gravy train on its tracks, so it will be ignored and/or derided by the Climate Establishment. “specifically, it is a warming period after the 200-year ‘Little Ice Age’ cold period, during a 12,000-year interglacial, which is located in the third major icehouse period of the Phanerozoic Eon”. Oh, superbly done! The warming is natural. Well, whatdya expect after a particularly cold spell? The fractal analysis is particularly interesting. I always wondered how Milankovitch cycles are explained by what the authors call ‘orbital forcing’, but this is dismissed for climate changes on a smaller scale. Good job folks. Well spotted, Anthony. The glib determinism of ‘more CO2 means rising global temperatures’ might well be included under this remark from the above paper “Endeavours to describe the climatic variability in deterministic terms are equally misleading”. That is enough to motivate me into studying this paper to find out if that is so Thank you for publicising it. As always, a brilliant paper. I have to confess that I don’t understand why the climate community is as resistant to non-Markovian integrodifferential dynamics of the sort that gives rise to the multiple-timescale phenomena explored above. This is the kind of meta-analysis that should have preceded any attempt to numerically model local climate changes on the order of decades, as it gives one an empirical basis for the short, medium and long term variability as well as helps one identify things that are more or less likely to be non-natural signals. The paper misses some of the features of the Ordovician-Silurian transition, though. This ice age began with an atmospheric concentration of 7 parts per thousand, just about 17 times as much as we have today. At the peak of glaciation, the CO_2 was still 4000 ppm, 10 times the present. While the solidly warmer periods often did have higher CO_2, high CO_2 has not proven capable of preventing ice ages as one would certainly expect if it were the proximate cause the warm eras. This has two implications for the present. One is that the assertions that the current CO_2 levels have rendered the recurrence of glaciation very unlikely are not well-founded. While one cannot either rule out this assertion, we simply do not know enough about the full, complex, chaotic dynamics and feedbacks that cause ice ages to explain the Ordovician-Silurian transition, and until we do we cannot possibly be certain that the present is not similar, being driven towards or away from glaciation by phenomena far more powerful that CO_2. The second is that models that assume as short “memory effect” for global climate, such that global climate is primarily determined by the current microstate with little impact from prior state ten, fifty, a hundred, a thousand years ago are simply incorrect; there is discernible and profound impact from both external (e.g. orbital) phenomena and long period feedbacks. I personally still think that we are missing one or two key pieces of the physics (surprising given that the physics in question is almost certainly known, but not recognized as being relevant), but until more high quality work like that described above is done, it will be very difficult to even know where to look. This is merely empirical thumbsucking of the worst kind. Start with the basics,a planet with zero inclination will experience an equatorial climate – this climate is defined by only residual latitudinal variations in daylight/darkness throughout an orbital period (this is what happens close to the Earth’s own equator) .This way of looking at planetary climate displaces the old ‘no tilt/no seasons’ with a more productive and practical approach while giving genuine climate scientists a new template to work with. A planet with an 90 degree axial inclination has a polar climate hence large swings in daylight/darkness asymmetries throughout an annual cycle and subsequently large swings between hemispheres. Inclination determines the type of planetary climate with the Earth having a largely equatorial insofar as large latitudinal areas experience smaller swings in daylight/darkness which emerge into climate as received solar radiation of lack of it .The 23 1/2 degree inclination includes a polar component where smaller latitudinal areas experience large fluctuations in daylight/darkness with temperature fluctuations from this input tending to follow this planetary feature. The old perspective of axial precession is screwing everything up and making it impossible to research planetary climate as it should be done. Methods of Using Long-Term Storage in Reservoirs, Institution of Civil Engrs. Proc., London, pt. 1, vol. 5, 1956, p. 519. The Problem of Long-Term Storage in Reservoirs, Intern. Union Geophysics and Geodesy Information Bulletin, London, no. 15, p. 463, 1956. The bigger question from this paper will be whether there is predictive power. Perhaps I’m missing something, but wouldn’t a Hurst exponent of 0.92 mean more predictable over short time frames (geologically short), i.e. a warming trend would likely to continue and a cooling trend would likely continue? Apologies for the poor proofreading but the framework for a new approach to planetary climate is basically contained in the previous comment. Place an object in the center representing the Sun and get a broom handle to represent the axial orientation of the Earth and its constant alignment to a particular external point as you walk/orbit the central object/Sun. The line of your body represents the ecliptic axis around which the polar coordinates turn to the central object/Sun so you conclude that aside from daily rotation to the Sun,all locations will turn once to the Sun as a component of its orbital motion – in the absence of daily rotation this is what they experience at the North/South poles. The problem was with Ra/Dec which tries to bundle the Earth’s two axes off a single axis and with the old explanation for axial precession. A teenager will enjoy the imitation analogy as ,in order to keep the broom handle pointing continuously at the same external point (representing Polaris),they sometimes have to walk sideways and backwards before facing forward again. Show them the images of Uranus to demonstrate that axial precession to the central Sun is really an annual orbital trait or that the polar coordinates act like a beacon for the orbital motion of the Earth. This is climate,this is what the people of the planet should be developing as an insight instead of listening to people who missed their chance. Well above my pay grade. I had a hard time understanding any word longer than four letters. If you know what a climacogram is, you are way ahead of me. I know what a telegram is. Presumably, the authors believe that if you need any definitions of any of the terms; then you have no business reading their paper. Given that I can’t find a formal definition of “Climate Sensitivity” in ANY Physics Text book, I tend to treat the subject about the same as I do astrology. Americans spend more money each year on the trappings of astrology, than the annual budgets of every Astronomical Observatory in the country; and something similar seems to surround the climatism phenomenon. Endeavours to describe the climatic variability in deterministic terms are equally misleading as those to describe it using classical statistics. Um. I would welcome an simple guide to this study, which introduces a lot of concepts with which I am not familiar. Is it saying that climate is a thorough mix of long term and short term systematic effects with a good splash of random effects thrown in? And what are the things they are plotting? Help please! Should be “difficulties”. Looks like a hyphenated line didn’t come over correctly because of a “space” before the “c”. H = 0.92 is a spanner in the works. It tells us that the statistics of climate science is wrong. Unfortunately modern Climate Science largely ignores the work of Hurst in developing a mathematical theory to explain climate. Climate Science still assumes that climate works like a roulette wheel, and then acts surprised when climate doesn’t follow their naive predictions. What H = 0.92 argues is that climate is no more predictable than weather. Rather, that climate only appears to be more predictable as a result of faulty mathematics. Exactly. Signal to Noise ratios at many scales and frequencies. I remain to be convinced that there is anything yet unusual in this probable end extreme interglacial. In fact it is usually much more chaotic than this. Interesting how the paper was bumped down from Nature to GRL to its final resting place. I like that the authors reveal the reviews and rejection letters [I do it myself]. This should be standard practice. I’m sure I could hear the distinct sound of Mann and the Team cocking all there PR guns as read that. Ever think it might have been copied from a source where there was a line break, and thus a hyphen placed to continue on the next line? What I understand from this paper is the while the Milankovitch influence clearly dominates, you cannot explain the climate behaviour deterministicaly on the basis of the Milankovitch alone. John Kehr in his “Inconvenient Sceptic” book makes the same point and explains this phenomenon (in relation to the Eemian interglacial) in terms that are more easily comprehended by those less mathematically gifted (like myself). Just like the unpredictability of climate the authors explicate, reversing trends affect journals too. ‘Down’ could soon become the new ‘up’. Firstly, how are they showing orbital forcings signal in the instrumental records? Otherwise, if they are only showing that the variability looks non-random (but of unknown cause) in recent centuries, then I am not sure what that is saying. So, secondly, what does it mean when one finds pure randomness in nature? If all natural events are at base non-random (if we go with Einstein on that one), and climate is natural, then what does it tell us when we find non-randomness in nature? The semantics here is interesting in the history of the IPCC because exclusion of attribution to ‘natural variability’ is sometimes (eg, SAR SPM) used to suggest exclusion of all natural causation, when in fact the original claim is the exclusion of natural randomness — where natural forcing such as volcanic and solar forcing had been specifically excluded in the original research. Shame we can’t see the whole paper, it looks interesting. At least the tone is one of straight forward scientific investigation and not AGW propaganda. However, I would have preferred it if they had not started out by trying to redefine “Ice age” to refer to glacial periods within an ice age and then introducing the rather silly term “icehouse” in its place. It seems rather childish and popular language for a learned paper. What caught my eye was the time to publish.Is 11 months normal ? Or just for those who wish to explore real science?Seems to me the Team is able to publish in a matter of weeks. Or was prior to Climategate. Is there some mental block that opts for axial precession,Milankovitch when it is easier to work with two separate axis needed to explain the seasons and why natural noon cycles vary ?. Again,what is in those images that people are not seeing ?.The old ‘no tilt/no seasons’ would have been understandable a a perspective a few centuries ago but not now and particularly not now – the modification of axial precession as it was previously understood shifts the zero inclination poerspective from ‘no seasons’ to an equatorial climate. What orbital variations have been observed in the satellite era? How about sort of a “Dancing with the Stars” panel of judges who are well respected scientists in a variety of fields with the assignment of assigning points (1 to 10) for how well the paper does in repudiating the current AGW meme. That way the layman could understand the significance of some of these studies in terms of furthering or tearing down the consensus about AGW. Well I understand what “Standard Deviation” is and I even have a faint understanding of what time is. Now I am used to thinking of standard deviation being related to the statistics of some variable value or function, but It never occurred to me to plot “standard deviation” itself against time, without some underlying “whatever” which has the aforementioned standard deviation. “Logrithmic plot” is less meaningful to me. I am familiar with the notion of plotting the logarithm of some variable, against another variable or vice versa, and also plotting the logarithm of one variable against the logarithm of another variable; but “logarithmic plot” of “standard deviation” of “whatever” leaves me cold in the dark. And no the very last thing that nosy parker Google is; is MY friend. “Dr Stuart Eves, who works for Surrey Satellite Technology Limited, first came up the idea when he was given a framed page from an encyclopaedia published in 1815 for his birthday. The page shows an orrery – a mechanical device detailing the relative positions and motions of planets and moons. It was unlikely that these objects were moons. Although two Uranus satellites were found the 18th Century, the sixth moon of Uranus was not found until 1985, after Nasa’s Voyager probe flew past the planet. When Dr Eves tracked down Herschel’s notes detailing his observations of Uranus, he found the following passage: “February 22, 1789: A ring was suspected”. Herschel even drew a small diagram of the ring and noted that it was “a little inclined to the red”. The Keck Telescope in Hawaii has since confirmed this to be the case. Herschel’s notes were published in a Royal Society journal in 1797. Dr Eves told BBC News: “I was thinking, ‘could he have got all of that right’? He has one ring, rather than multiple rings as there are at Saturn; it is relatively close to the planet and it’s about the right size. “The opening angle is about right. Astronomical software indicates that it may have been slightly more open as viewed from Earth on the dates Herschel was observing,” he added. “But there are reasons for thinking that the ring plane moves about a bit, and he has the major axis of the ring plane in the right direction. I started to add up all the statistics and I said: I reckon he had a point. I think I’m going to have to be steeped in this stuff a few times to get the funamentals. The graphs could have better captioning and a simple explanation first would help, although I realize this is a paper and not a post per se. The persistence factor is well known to anyone waiting for the weather to improve while working in the field. What is most surprising to me is that anyone could believe that weather processes are simply random. A long hot summer, a rainy spring, or a long cold winter are cliches. I’m not sure the water levels in the Aswan Dam are a place one might find to detect Milankovic cycles. I would think that the non random HK signals would be bumps on the deterministic M. cycles – I don’t get how they find themselves together here unless they are referring to the additive effect. Regarding chaotic systems (not a big deal in this paper) that are often mentioned in terms of climate behaviour – that I don’t get. With a billion years of temp keeping within the bounds of 5 C above or 5C below average – this seems to me to be anything but chaotic. Chaos is not a thing that comes to mind when we look at a billion year+ unbroken chain of life which requires boundaries for existence. It must be the chaos of a tempest in a tea pot. Anyone care to enlighten. Markonis & Koutsoyiannis provide important insights into climate “persistence” or “Hurst Kolmogorov dynamics” – over an amazing range of scales – 9 orders of magnitude. Available Global Climate Models are incomplete and misleading until they can reproduce these statistical trends. Note: While the “final” paper is behind the paywall, see the Preprint provided. James Hansen completely missed Hurst-Kolmogorov dynamics. Thus Hansen’s PNAS 2012 paper fails as another “argument from ignorance”. we uncover multistable synchronisation (reminiscent of phase- or frequency-locking to individual periodic components of astronomical forcing) at low forcing strength, and monostable or unique synchronisation at stronger forcing. . . .As the attracting trajectory can sometimes lie close to the boundary of its basin of attraction, a small perturbation could quite easily make climate to jump between different histories, reducing the predictability. Our study brings new insight into paleoclimate dynamics and reveals a possibility for the climate system to wander throughout different climatic histories related to preferential synchronisation regimes on obliquity, precession or combinations of both, all over the history of the Pleistocene. Interesting insight into chaotic variations within deterministic forcings. Is its final resting place deserved ? Or, has it been buried by the vanguard ? Its important to understand the Milankovitch Cycles do not make the Earth colder/warmer by themselves. The Earth, as a whole, gets just about the same total solar insolation no matter what the Cycles are doing (well actually, there is a very slight difference when the orbit is more circular but it is not enough to have any real change). It is the Albedo of the Earth that changes – the amount of sunlight reflected by all those white, snow-covered glaciers. That is what makes the Earth warmer/colder. So, if we have Milankovitch-Cycle-Driven-Albedo-Changes, then why can we not have Other-Driver-Albedo-Changes. And we do. We have Snowball-Earth-Albedo-Changes of -25.0C and we have Pangea-Albedo-Changes of +10.0C. And this is exactly the complete range of Earth’s climate in the past. We have Snowball-Albedo’s of -25.0C when CO2 is 12,000 ppm. We have +7.0C Early Pangea’s with CO2 at 500 ppm, We have warm Eemian Interglacials at +2.25C with CO2 at 280 ppm. We have Ordovician IceAge at -7.0C with CO2 at 4,400 ppm and we have Carboniferous IceAge at -1.0C with CO2 at 350 ppm and we have recent Albedo-IceAges at -5.0C with CO2 at 190 ppm. What are the factors that can provide for these large Albedo changes (-25.0C to +10.0C)? Climate Science will not address it. They need it for the recent ice ages but all the ones before must have been caused by high GHG levels it seems. Well, if that turns out to be correct, them amongst those wasting their time must be included people who fit cycles of implausible precision to the movements of the planets. Don’t know. The authors do not show us the last review with acceptance. The degree of axial inclination defines planetary climate and that is what the sequence of images of Uranus indicate.the spectrum of climate goes from equatorial with zero degree inclination to polar with a 90 degree inclination.Were the Earth to have a 45 degree inclination it would acquire more polar characteristics than the 23 1/2 degree at present and this is how you use planetary comparisons to extract the common denominator for climate. The previous view is that the Earth ’tilts’ towards and away from the Sun or any similar insinuation and this destroys the proper interpretation that the polar coordinates,acting like a beacon,are carried around in a circle to the central Sun by the orbital motion and its particular behavior. Had planetary climate been defined properly,all this cult of modeled global warming through human activity would have been avoided and it still can.. Yes. But it didn’t “show up” correctly here. As I said (or implied) in my previous comment, I suspect that at the end of the line after the hyphen, a “space” was inserted that prevented whatever word-processing program was used from recognizing the hyphen and deleting and connecting the syllables at the end of one line to the rest of that word’s syllables in the next line. I wasn’t being critical or “picky”. Just pointing out a “you missed a spot” that the paper may want to fix. I’m sure that if you took at climate system (with internal resonances spread over a range of different time scales) that had was being [significantly] influenced from the outside deterministic forces (also with a range of different timescales), you would get Hurst Kolmogorov statistics that would indicate a pure chaotic system. This would happen for the simple reason that specific time scales at which the external forcing factors would interact with internal resonances in the climate system will almost certainly be a function of timescale and of the interaction type (e.g. glaciation, long-term Carbon cycle, winds etc.). Oh, and I should add that the five singers completely change both the song they are singing and key at which they sing, at random times throughout their performance. The degree of axial inclination defines planetary climate and that is what the sequence of images of Uranus indicate.the spectrum of climate goes from equatorial with zero degree inclination to polar with a 90 degree inclination. So far as I know the Milankovitch axial inclination cycle is thought to be around 41,000 years long. This coincides with the length of glacial/interglacial cycles prior to the switch to the 100,000 year cycle which coincides with the Milankovitch eccentricity cycle. I can’t work out from your comments how you think these long term cycles would affect theories about climate change n much shorter timescales. Still tilting at straw-men dalek? I’m sure that if you look at climate system (with internal resonances spread over a range of different time scales) that was being [significantly] influenced from the outside deterministic forces (also with a range of different timescales), you would get Hurst Kolmogorov statistics that would indicate a pure chaotic system. Exactly. You won’t find out how much chaos is in a system until you’ve done the hard work of subtracting out the variations due to cycles to see what is left in the residuals. Even then, the as yet undetermined non-linearities are likely to lead to an overestimation of chaotic content. This paper answers a question that has troubled me – if one conjectures that climate is a nonlinear/nonequilibrium system with associated oscillatory dynamics, HOW is this conjecture falsified? (If it cant be falsified then its not scientific a.k.a. Karl Popper). The HK method is a good start in developing new statistical tools that break out of the straight-jacket of simple deterministic assumptions, and allow real testing of hypothesised nonlinear-nonequilibrium dyamics of the climate system. As such, this is a hugely important pointer for the way forward. Kudos to Markonis and Koutsoyiannis. There is a way of reconciling periodic forcing (e.g. orbital effects) and nonlinear/chaotic dynamics. The two are not necessarily exclusive. There are 2 kinds of nonlinear oscillator – the unforced and the periodically forced. The latter, periodically forced oscillators, are likewise of two kinds – strongly forced and weakly forced. Strongly forced means that the frequency that the system adopts is the same as of a simple function of that of the forcing frequency. However in weakly forced nonlinear oscillators, there can be a very complex relationship between forcing frequency and the emergent frequencies of the system. In this case it can be very difficult to make out the forcing frequencies from looking at the systems oscillatory dynamics which can be unstable. However this does not mean that the system is not being forced, even though the forcing “signature” is hard to make out. My guess is that the climate is something like a weakly forced nonlinear oscillator with a number of astrophysical forcings. However if the forcing is weak and the relationship between forcing and emergent system frequency is complex, how can this conjecture be falsified? The HK nonlinear statistical method described here is at least a start to the answer to this question. I’m with George E Smith on this one, and for pretty much the same reasons. Given that rgbatduke called the paper brilliant, and Leif didn’t outright pee on it, it sounds to me like it has merit. But while I can breeze through most physics papers with at least a high level understanding of what they are about and how the data relates to the conclusions, this one is quite beyond me. Not that I couldn’t understand it if I had the time to research it (or maybe not!) but a laymen’s level explanation of the terms and theory that speaks to the issues George E Smith articulated would be much appreciated. A particular problem with climate science is it’s resistance to ideas and insights from outside the discipline (or the Team, if you like). Students of the history of science will know that application of paradigms from different disciplines is often the way important advances are made. Since when have you ever accepted anything, reviewed or not ? Reading this now, seems to be an understandable presentation on climacograms and their use in hydrology. Hopefully it will help me get my head around this. Now I shall go do a search on “Markovian integrodifferential dynamics” and see if my WAG as to what it is comes remotely close…. I don’t presume to criticize or lecture on the topic, as I do know my own personal limits, but would offer this comment. It is unfortunate that the term “chaos” has been so closely associated with “complex systems” in the popular lexicon, since that term implies unpredictability and frankly, chaos. The true marvel of complex systems is the emergence of order and robust stable states that are not readily apparent using traditional deterministic methods of analysis. This is the path that this paper is investigating. That our climate is a “complex system” is indisputable. In the real world all energy transfer occurs at the molecular level and the atmosphere of earth contains something on the order of 10 ^44 (+/- an order of magnitude) molecules. All of them are in constant motion, colliding among themselves and transferring energy. Add to this variable energy being input into the system from all directions, changing land, the abundant biosphere and water with its constant energy intensive phase changes; yes it is a complex system. But it’s not “chaotic”. There is order. Why? The analysis pursued by mainstream climate science using bulk deterministic building blocks is doomed to fail in its efforts to produce a model of our climate because reality is at a totally different dimension. Are these authors correct in their analysis? I sure don’t know; greater minds than mine will have to work through that. But I do know they are at least on the right path. All of my almost 5 decades of observation and study tell me so. The answers will come when our climate is recognized and analyzed as the “complex system” that it is. Hmmm finished a once over lightly — bottom line, his presentation (to me) effectively proves that climate (and almost all natural processes) are not random and cannot be modeled using an assumption of randomness in any of their important factors. In short climate models you depend on an assumption of averaging improving accuracy, and analysis which depends on Gaussian random distribution of variables will not only be wrong but spectacularly wrong in an entirely unpredictable manner over time. Is anyone else seeing the same inescapable conclusion that this throws essentially all of current climate “science” (term used reluctantly) in the dust bin? I will second that comment! Our scientific knowledge has expanded to the extent that it is now impossible for a scientist to have at least a passing knowledge of all the different fields. This means a commonly known concept in one discipline can easily be the missing key for another discipline. 2) I review [for Nature, Science, GRL, JGR, Solar Physcis, Astrophysical Journal, Advances in Space Research, Monthly Notices of the Royal Society, and the like] about two papers per month and accept half of them. The other referee(s) usually agree(s) with me, especially if the paper is bad. 3) I tend to comment more on bad papers, because good ones speak for themselves. If you mean a page where the post alone are listed with all its comments deleted, that sounds like it could be good. Possible? I don’t know. If you mean a page with post that aren’t also ‘here’ where comments are allowed, I’d say not a good idea. But it’s not my blog. Odd… then the site operator seems to have left a raw working link. 36 pages came down for me. Moderator, could you close by blocktext tag? Thank You. The presentation I linked to above by Demetris Koutsoyiannis is 37 pages in pdf. It may be essentially the same material or a prior informal version from the look of it. Not taking sides. Just wanted to say I’m glad you’re here. Thanks Leif, I was just trying to draw you out a bit. On a related note, and prompted by this paper, I have run the last 30 years of monthly HadCRUT4 global temperature data through a Bayesian model that estimates the Hurst parameter of this time series. The Bayesian model uses an exotic thing called Riemannian Manifold Hamiltonian Monte Carlo (RMHMC) to do this. The ‘Monte Carlo’ bit means that its basically a Monte Carlo Markov Chain (MCMC) model; the ‘Hamiltonian’ bit refers to the fact that model uses a simulated Hamiltonian dynamics to speed up the acceptance rate in the Metropolis-Hastings step of the MCMC model; and the “Riemannian Manifold” refers to the fact that there Hamiltonian dynamics is executed on a complicated Riemannian manifold in order to reduce the ‘burn in’ time of the Markov Chain sequence. All in all, this approach implies a fair bit of sophistry and computational ‘grunt’ goes in estimating the Hurst parameter of a time series. Although built for other purposes, it seems reasonable to apply this machinery to test the assumption that the monthly HadCRUT4 global temperature data exhibits ‘long-range dependence’. If the model returns a Hurst parameter, H, of 0.5, then the time series can be represented as ‘normal’ brownian motion – i.e. a random walk. If the Hurst parameter is significantly different from 0.5, then it may be said that the time series exhibits long-range dependence – either of the persistent (H > 0.5), or of the anti-persistent kind (H < 0.5). As it turns out, and based on the last 30 years of HadCRUT4 global temperature data, the RMHMC model estimates the Hurst parameter of the time series as 0.19 +/- 0.05 – i.e. that the time series exhibits strong anti-persistent behaviour. Based on this result, there is evidence that over and above any linear trend which may exist in the data, there is long-range dependence in the time series and that this should be taken into account when estimating error bounds on those trends. In a stable system, the behavior is necessarily bounded. The Earth system is incompletely characterized and unwieldy, which lends itself to be modeled as a chaotic system. A complementary model relies on multiple orders of stochastic functions to estimate its intermediate behavior. So we have a macro view of the earth’s gross climate being chaotic. Imagine a micro view represented in decades as being understandable. Further imagine that we are in control. Delusional at best on the imagined part. Ever hear about the statistician who drowned in a river an average of 3 ft deep? I’ve used the KS test, see http://www.physics.csbsju.edu/stats/KS-test.html, http://en.wikipedia.org/wiki/Kolmogorov%E2%80%93Smirnov_test. Интересно, что Колмогоров также занимался с геологической историей. Об этом, я не знал. Obviously, the Dalek is correct. Apparently, you consider the planet cyclomania to be like straw rather than being rock-solid. A trivial point . The greek root for climacogram comes from the Greek κλιμαξ, klimax (genetive : , klimakos) and it means “scale”, “staircase”, and it is in the feminine gender. Climate on the other hand comes from the greek κλιμα, clima ( genetive klimatos) and it is in the neutral gender. Think of the plot as a plot of superimposed scales ( nothing to do with climate). . I can imagine there is only a small audience presently for a new approach to climate where inclination defines a planet’s climate rather than the current and vague view of long term weather patterns shading off into climate,as far as I am concerned that latter view looks similar to the geocentric views before Copernicus introduced the dynamics of the Earth to resolve observations. It is only within the last few decades through the increasing magnification power of telescopes along with sequential imaging that we can look at climate differently and specifically the ability to see the polar coordinates of a planet turn in a circle to the central Sun as they are carried around by the orbital behavior of the planet.If you or anyone else have a fixed idea in your heads on axial precession ,Milankovitch or any other idea which ignores the ecliptic axis around which the polar coordinates turn annually to the central Sun,then climate studies are effectively finished as inputs become more and more contrived just as they kept adding more and more epicycles to the geocentric theories to hold the picture together. Once a person sees that Uranus has a polar climate they then consider what a zero degree inclination reflects hence a planetary climate spectrum from equatorial to polar with the Earth’s 23 1/2 degree inclination giving us a largely equatorial climate.Everything else can be worked in later and that is the intensely satisfying part as that hasn’t even begun yet.It is in effect raising the standard of climate studies by modifying the explanation Copernicus give for the seasons and axial precession – the fact that it is being done in a thread on a forum rather than in open territory where it is treated with the importance it deserves speaks for itself and how much people really care about climate studies.That is not a complaint,it is what it is. Its a big subject but a few comments. Full blown chaos itself is, well – chaotic and not so interesting pattern-wise. As a dynamic system moves away from equilibrium in the direction of chaos, there is a “twilight zone” just before chaos is reached where interesting spontaneous pattern formation phenomena occur. I use the term “nonlinear-nonequilibrium pattern” although its a bit long-winded. A comment often made about “chaos” systems is that very small initial differences lead to big differences later. This can be true but this behaviour is not exclusive to chaotic systems – deterministic systems can do the same. And addressing your point about staying within boundaries, nonlinear pattern systems often display the opposite phenomenon – an attractor. Of all the states that a system could potentially go to, the system converges to a small subset of states or locations called an “attractor”. This is sometimes called a “strange attractor” since people including climate scientists are so indoctrinated to expect everything to be tidy and linear that this nonlinear attractor behaviour seems strange. Consider smoke rising from a smouldering tip of something like a cigarette or match etc. The hot carbon atoms in principle have freedom to diffuse upwards in all directions but instead they converge into a narrow ribbon of smoke. This ribbon is a strange attractor. In climate history of earth there are apparent discreet temperatures that are preferred, for instance in the last 2 million years the glacial and interglacial temperatures. Further back there is another stable temperature level about 10C higher than today. These temperatures that the earth seems to adopt stably, are likely to be attractors also. An attractor acts to reduce fluctuation, not increase it. A very good book for an introduction and lucid explanation of chaos and nonlinear dynamics is “Deep Simplicity” by John Gribben, Random House. The one I can think of off the cuff is Length of Day and I do not mean just seasonal changes. …The longest day in the past century occurred sometime during 1912, according to JPL geophysicist Dr. Richard Gross. The shortest day in the past 100 years was August 2, 2001, when the length of time that it took Earth to make one complete turn on its axis actually dipped below 24 hours by about one-thousandth of a second…. Gross studies Earth’s rotation. As it turns out, Earth doesn’t rotate like clockwork. In a recent paper in the journal Physics of the Earth and Planetary Interiors, Gross combined several series of length-of-day measurements into one that spans from 1832 to 1997 and smoothed out some of the error with a sophisticated mathematical formula. …. I’m not sure the water levels in the Aswan Dam are a place one might find to detect Milankovic cycles…. You might want to look at Alexander Ruzmaikin, Joan Feynman, and Yuk L. Yung’s paper. Is solar variability reflected in the Nile River? And here is another paper. Little is known about decadal- to centennial-scale climate variability and its associated forcing mechanisms on the Qinghai–Tibetan Plateau. A decadal-resolution record of total organic carbon (TOC) and grainsize retrieved from a composite piston core from Kusai Lake, NW China, provides solid evidence for decadal- to centennial-scale Asian monsoon variability for the Northern Qinghai–Tibetan Plateau during the last 3770 yr. Intensified winter and summer monsoons are well correlated with respective reductions and increases in solar irradiance. A number of intensified Asian winter monsoon phases are potentially correlated with North Atlantic climatic variations including Bond events 0 to 2 and more recent subtle climate changes from the Medieval Warm Period to the Little Ice Age. Our findings indicate that Asian monsoon changes during the late Holocene are forced by changes in both solar output and oceanic–atmospheric circulation patterns. Our results demonstrate that these forcing mechanisms operate not only in low latitudes but also in mid-latitude regions (the Northern Qinghai–Tibetan Plateau). So there are your links of climate rainfall patterns to solar irradiance which will change over the long term thanks to the Milancovitch cycles. Once a person sees that Uranus has a polar climate they then consider what a zero degree inclination reflects hence a planetary climate spectrum from equatorial to polar with the Earth’s 23 1/2 degree inclination giving us a largely equatorial climate. I think I’m beginning to see what you are getting at. But doesn’t Uranus move from polar to equatorial climate every 21 years or so as it orbits the Sun? And as the Earth’s precession advances, doesn’t the pole star stop being the pole star, because the pole is pointing elsewhere. There will always be a visually identifiable star on-axis (or near enough for sailors), but it will be a different star from the one in use a couple of thousand years ago won’t it? pass in front of the Sun with each rotation and each cycle is different to the next hence each of the 1461 cycles that cover 4 complete orbital circuits must be averaged to 24 hours. These people at JPL do not know what they are talking about,it doesn’t matter whether you use a pendulum clock or VLBI,the conclusion drawn by Flamsteed is not only wrong by virtue that it tries to bundle two separate axes into a single one via the equatorial coordinate system,it is preventing people from modifying axial precession from a long term axial trait into an annual orbital trait. Your reductio ad absurdum make you look more absurd than us, given that we can use our solar-planetary theory to successfully hindcast (and predict) climate change to a useful accuracy, whereas you can’t do anything of the kind with your near useless dynamology. …. Hopefully it will help me get my head around this. Larry, thanks for the link. Slide 23 explains the math, however the whole presentation is worth reading. Too bad it is not something our politicians can understand, or the Climastrologists want to understand. given that we can use our solar-planetary theory to successfully hindcast (and predict) climate change to a useful accuracy, whereas you can’t do anything of the kind with your near useless dynamology. Ah, now it is climate change, not solar activity. Presumably the latter causes the former, or are you saying that it does not? Anyway, you have not produced any such successful predictions [you don’t know if a prediction is successful until after the fact]. 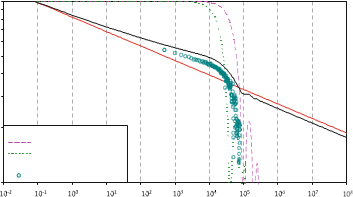 On the other hand my dynamo-based forecast of SC24 has been quite successful so far. In that context a black swan event is not only not unlikely it would be expected in long time scales. Given the size of the earth and the number of natural processes we probably have one of those “exceptional events” happening every day. Sort of puts the Russian heat wave in perspective, as not unusual at all. On a long enough time scale every region in the world will experience such a heat wave if climate is a high Hurst coef process. 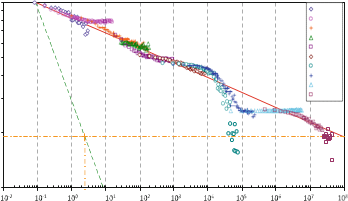 my dynamo-based forecast of SC24 has been quite successful so far. That’s bsed on a heuristic empirical observation, not a theory. You can’t use it to hindcast solar-terrestrial behaviour in the deep past, or beyond the next cycle. In 1983 and just about the same time as the cult of modeling human activity to account for planetary temperatures was ramping up,there was a sense of dismay in the empirical community that people were no longer treating mathematical models as a tool with limitations but rather physical observations were adjusted to suit the models.It doesn’t matter if locations experience drought or floods,cold spells or heatwaves,each event can be adjusted to support the model of human activity/global warming and that is not just wrong,that is a symptom of a disorder. Even those who would outwardly appear to have common sense would not dare question the limitations of modeling however much they disagreed with the models of future weather conditions.To those pushing models of human activity as a means to control planetary temperature and even those who counter it,the models are everything and nobody bothered to consider the core planetary facts which basically mock present human understanding of climate. They say one of the greatest human achievements was putting a man on the moon for sheer effort and human ingenuity,the greater achievement still may be bringing man back down to Earth once more where common sense and genuine creativity will prevail. It looks like the “climacogram” is just a fancy name for the log-log gradient i.e. the Kolmogorov-Richardson fractal dimension, of temperatures with time. “Log-log” behaviour is characteristic of systems exhibiting nonequilibrium pattern behaviour. It means in this case that small changes happen all the time, big changes more rarely, really big changes very rarely – in a log-log pattern. The most important thing to understand about such changes is that these changes can be generated BY THE SYSTEM ITSELF. One does not have to conjure up a new story of soot or CO2 or methane or farting or volcanoes or ozone for every single wiggle of the curve, as present day climatologists do. The system changes BY ITSELF. It can however be of the periodically forced variety of nonlinear oscillation, so there can be a role for external forcing, but possible a complex, non-obvious relationship between forcing and emergent signal. It could also be a mixture of strong forcing (e.g. the 41,000 yr and 100,000 yr Milankovich signal) and weak forcing (other oscillatory inputs), resulting in a more complex and variable oscillation. There are, however, nonforced oscillatory systems. The Belousov-Zhabotinsky reactor for instance has both forced and non-forced instances. That’s based on a heuristic empirical observation, not a theory. You can’t use it to hindcast solar-terrestrial behaviour in the deep past, or beyond the next cycle. All based on solid physics, with theory, equations, numbers, the works. What do you have? Nothing, as far as I can tell from your various postings. Tidal forces may provide an answer. Tidal forces are dissipative, that is, they convert macro kinetic energy into heat. They are small but persistent. Dissipative forces will tend to bring the kinetic energy of the planetary orbital ensemble to its lowest available energy configuration (second law of thermodynamics – maximum entropy principle). This involves harmonics and overtones, and if I understand the present paper correctly it will tend to raise the variability of the shorter periods of measurement compared with the longer periods, since shorter cycles dissipate energy more rapidly. Other systems that show this propensity are musical instruments (harmonics help to dissipate energy) and atoms (spontaneously emit photons – the complex arrangement of electron orbitals and the way they are preferentially filled is an obvious illustration of the maximum entropy principle). This helps to explain the ratios observed in the planetary orbits and the self-similarity (resonance) that the solar system exhibits. It means that our earthly climate will continue to vary as it must to help bring the kinetic energy of the solar system to its lowest available state, but also that the variability will decrease with time as the process progresses. . Ideally, the reviews should not be anonymous. Both the reviews and the author’s rebuttals or responses should be published with the paper. People don’t fight duels today so the element of social engineering inherent in the anonymous peer review methodology is no longer called for. It would also reveal “buddy” review and the action of known axes being ground and bones picked and the structure of scientific cliques. Maybe Mathematics and Physics are related; but it would be a mistake to equate either of those with “nature”. Both Mathematics, and Physics , are pure fiction, that we made up out of whole cloth in our head. Nothing in any branch of mathematics actually exists anywhere in nature; there are no points or lines or circles, or spheres, or anything else from mathematics. And the Physics, is really a descriptive model of another fiction, that we believe closely emulates nature in its behavior. It is a tribute to the giants who constructed our models of Physics, and the mathematical tools to manipulate those models (not nature), that they gave us a way to deal with something probably far too complex for us to really understand. “It looks like the “climacogram” is just a fancy name for the log-log gradient i.e. the Kolmogorov-Richardson fractal dimension, of temperatures with time. Thanks for a good explanation of something, that as someone said earlier, is “way above my pay grade.” Searching Kolmogorov-Richardson on Google, I found entries for Richardson-Kolmogorov. One had a good cartoon to explain the concept. Since we speak of “hundred year floods” and “ hundred year storms,” it looks like this log-log gradient is a good way to look at climate. In my Google search it appears as though Koutsoyiannis used this technique first to look at rain fall patterns. Looks like a good tool for further use. Lol. Is that it? Solid physics? I think not. This model output simulating solar variation from planetary frequencies also observed in real empirical solar data is a lot more like the real thing. “equations, numbers, the works.” and no ad hoc fudges. Your team has some catching up to do. periodic solution”. Lol. Is that it? Solid physics? I think not. Some reasonable assumptions are always needed when data is sparse. That you do not understand the physics is your own failing. No mechanism, no physics, just simulating some numerology. But the proof is in the pudding. Produce your 21st century prediction and your 17th century hindcast, then come back here. “To get good results, we have to make another assumption which we agree is somewhat ad hoc.” Lol. Is that it? Solid physics? I think not. I note you have no comment on the first paper which describes the physics. The second paper shows that it is possible to get a Maunder Minimum with an assumption on asymmetry. This shows the strength of a real physical theory: that you can play ‘what if’ games and explore different scenarios. The wider view presently is that planetary climate has yet to be defined and there is huge damage with the present vague notion that it is possible to model climate like weather and all the mischief is caused in the blurring of distinctions.Few have yet to consider that the Earth has a largely equatorial climate due to its inclination or that a planet with zero inclination has a completely equatorial climate as opposed to a planet with a 90 degree inclination ,close to that of Uranus which has a polar climate. If the modelers want to be useful for a change,let them model seasonal conditions for Earth while retaining all its daily and orbital attributes but substituting the present 23 1/3 degree inclination with the inclination of Uranus and they will come to understand what polar climate actually means,what an equatorial climate actually represents and a new template for climate studies. Thanks for your helpful comments concerning dissipation and harmonics. Indeed dissipation or damping (or “friction”) is often cited as an important ingredient for nonlinear pattern. In the context of an “open” system through which energy flows. Pattern formation in dissipative systems is a field of research that has been growing rapidly during the last two decades. The field is based on the observation that systems out of thermodynamic equilibrium are capable of generating complex self-organized spatial and temporal patterns (dissipative structures) . Prominent examples of such nonequilibrium structures include flow patterns in hydrodynamic systems such as convection rolls and turbulence , processes of self-organization in nonlinear optical systems [3, 4] and semiconductors , excitation waves in the heart , spiral patterns of a signal transmitter in populations of the amoeba dictyostelium discoideum , and traveling waves and turbulence in chemical reactions [8–10]. (low entropy) and delivering energy of lower value (high entropy) they are able to export entropy, and thus to spontaneously develop structures characterized by a higher degree of order than present in the environment. (bifurcations). One of the most important findings was that complex behavior such as deterministic chaos  is possible even in systems with only a few degrees of freedom. But the proof is in the pudding. Produce your 21st century prediction and your 17th century hindcast, then come back here. More lolz. Where have you been for the last thirty years? Landscheidt predicted the solar slowdown from cycle 23 to a nadir in 2035 in 1988. Tim and I produced our cycles analysis over 20 months ago which covers the Maunder minimum and up to 2050. There aren’t any solid physics in the dynamology models either, but at least we can successfully reproduce past activity as reconstructed by Lean to a Pearson R^2 value of 0.98. So come on then we’ve shown you our prediction to 2050, time to show us yours. Oh, I forgot, your method only goes to the next cycle. We’ll have to settle for that. What is your prediction for the timing and amplitude of SC25 Leif? George you give these ‘giants’ credit they do not deserve because of what they did,we now inherit a mess. Look,I am an astronomer who is familiar with how observations are interpreted and transformed in perspectives we can understand and accept and I assure you that Newton’s idiosyncratic and false take on retrogrades has quite a lot to do with modeling in terms of absolute/relative time,space and motion,something his followers never really understood.Far from being a ‘giant’,when you wreck that much havoc on astronomical insights and methods as Newton did ,you can be sure severe damage is being done. Empirical modelers like their iconic ‘giants’ but I like astronomy more and especially where planetary dynamics and terrestrial effects mesh. to learn more on the dismal failings of such methods. but at least we can successfully reproduce past activity as reconstructed by Lean to a Pearson R^2 value of 0.98. Lean’s reconstruction is obsolete. But, I’m sure you can also fit any other reconstruction just as well. The main point is how well the various planetary predictions match each other. What is your prediction for the timing and amplitude of SC25 Leif? I don’t have any that is different from speculation. If the L&P persists, SC25 may be really low, like 7, but that is just speculation. got amplitude ok, timing one year out; sun was a bit hesitant, it aimed to go a year early, drew back and ended a year late. There is a lesson in there, don’t do science when numerology can suffice. I second that, having read it recently. “I assure you that Newton’s idiosyncratic and false take on retrogrades has quite a lot to do with modeling in terms of absolute/relative time,space and motion”. Can you elucidate what you find wrong in this? When you check a planetarium program and go to a geocentric system the epicycles are there in all their glory. How could it be else? And certainly the description of Newton describes epicycles. It seems to me that it is just is a statement on coordinate systems. You are making a strong statement, so please make your meaning clear. This is where modeling really comes in as rightly understood,Kepler’s drawing represents both the motions of Mars and that of the Earth whereas the modelers still think it is a geocentric depiction.I am at a disadvantage of having to condense a lot of work into a brief summary but if readers can follow the arguments so far they might just catch a glimpse of what went badly wrong unless they simply refuse to accept the mistake. You are quite right in one respect,the issue is extremely serious and I have only covered a fraction of what needs to be said.Any reader here can use the power of contemporary imaging to affirm the Earth’s orbital motion as it was originally done 500 years ago through the resolution of apparent retrogrades or interpret the images of Uranus to give greater detail to the characteristics to our orbital motion and use the information for many purposes and especially global climate. Well, in my view there is nothing very serious about this. I do not think there exists a scientist who has been through a mechanics course who does not know that gravitational solutions are solutions of many body problems. Nobody now thinks of the planetary system as the figure you depict. Already ellipses defy this figure and ellipses were known from the time of Kepler. There are probably a dozen different topics intertwined in this area ,one more important than the other,the greatest difficulty is therefore corralling the data and keeping it relevant for global climate and how it has yet to be determined properly. There is no chance whatsoever that scientists can define the Earth’s climate properly without using the same interpretative faculties that made sense of the Earth’s planetary dynamics in the first place and particularly the proper arguments which assigned retrogrades as an illusion seen from a moving Earth. The change in orientation of the rings to the central Sun is intrinsic to the planet’s orbital motion and is not an illusion.The degree of inclination indicates a polar climate in a spectrum that is bounded on one side by equatorial and polar on the other end of the spectrum.This and this alone defines global climate and everything else can be argued over after that.What is preventing a clearer view is the use of the clockwork solar system beloved of those in the late 17th century who created a train wreck with astronomical references and their causes in order to push ahead with modeling based on the idea that the behavior of objects at a human level scale up to planetary dynamics and orbital geometries. A very elegant solution for why and when this happens will be forthcoming in my Planetary Ordered Solar Theory. Just calling it “HK dynamics” tells us nothing about the why and the when. Yes there is a clear log-log signature in many climate indices – it is telling us something.